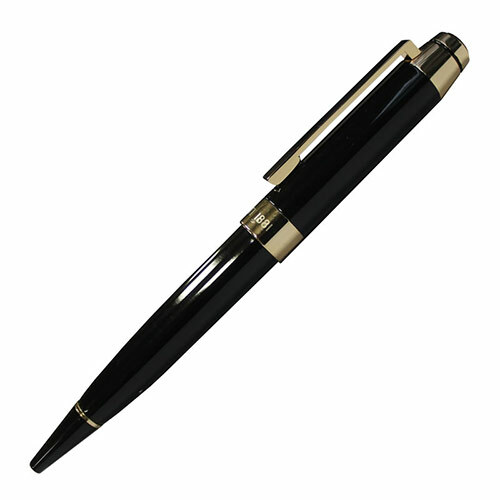 These attractive ballpoint pens from Cerruti 1881 have a black body with gold fittings at the end, on the clip, in the middle and at the tip. 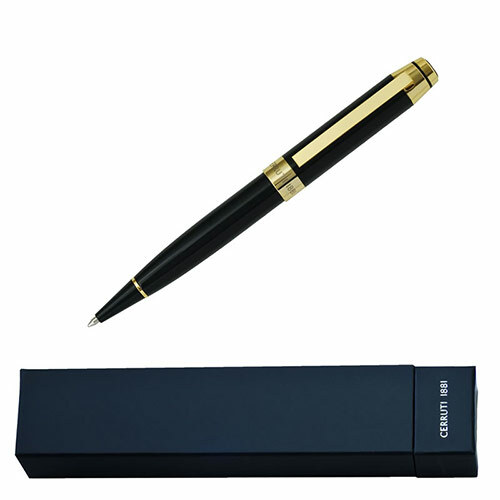 They feature Cerruti branding on the middle gold band and can be engraved on the black gloss body. 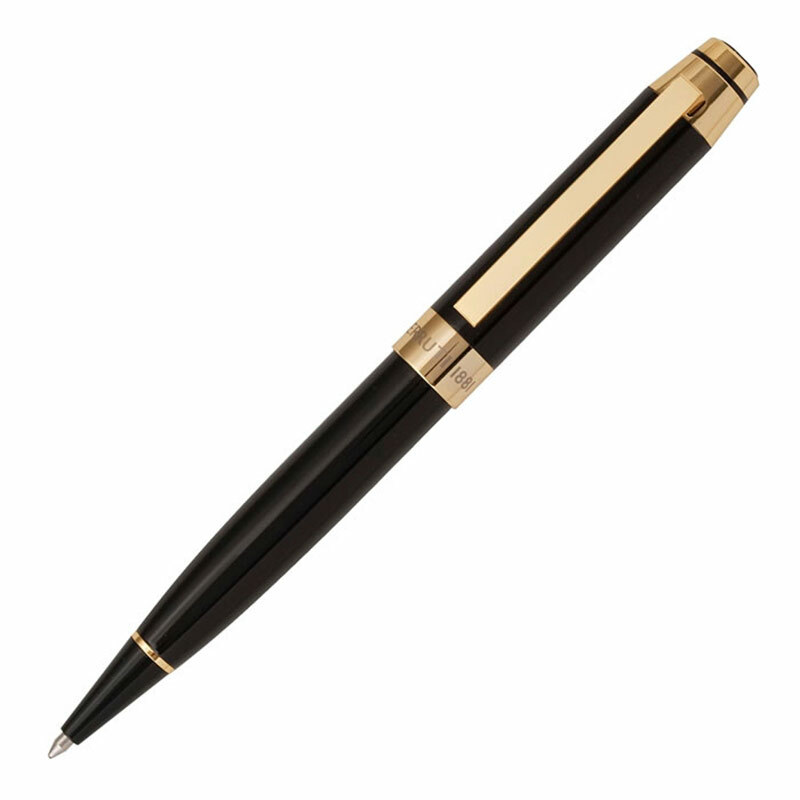 Offered with free engraving, these Cerruri 'Heritage Gold' ballpoint pens are supplied complete with Cerruti branded presentation cases.